San Francisco Giants first baseman Brandon Belt must be a happy guy. Not only did he receive a nice pay raise this season after signing a one-year, $6.2 million contract in the off-season (to avoid arbitration; he made $3.6 million in 2015), but he learned that the organization considers him an integral part of the team's core group of talent. They didn't have to say anything directly to him to get that point across. It became clear when they began negotiating a long-term extension with his agent. Normally, after the season begins contract talks tend to stop, but both sides must have felt they were too close to completing a deal not to finish it, so they soldiered on. With the season less than a week old, a deal was done – five years, for $72.8 million. Rather than risk losing him to free agency after the 2017 season, the team decided it had seen enough out of Belt to believe he was worth holding onto. Of course, to do so, they had to pay him enough money to convince him not to bother testing free agency – and they did. Belt will receive a $6 million bonus next January and $2.8 million for the '17 season, but he will see his salary jump up to $16 million a season, in years 2018-21. 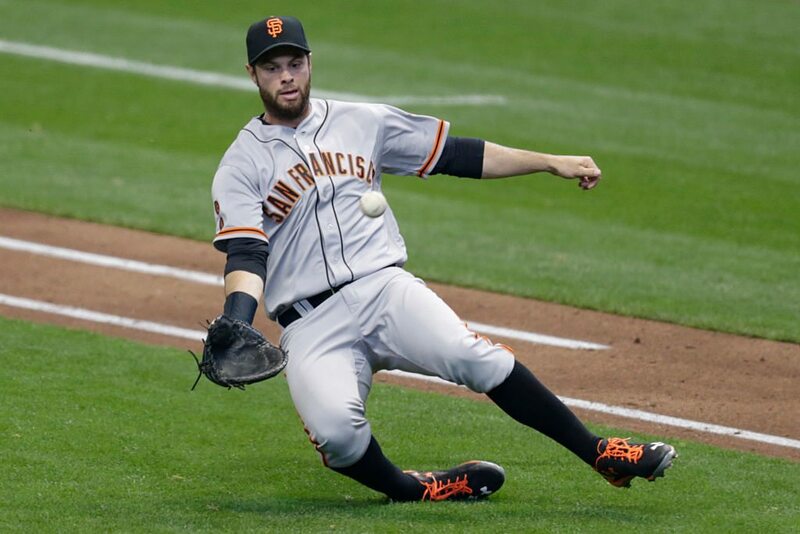 "He's one of our guys, he's one of our core players," manager Bruce Bochy said. "Well-earned, deserved." After the 2017 season, he will be allowed to designate 10 teams to which he cannot be traded without his permission. For Belt, it is a chance to be paid well to play for a good team – one actually due to win the World Series this year, or at least be competitive. The Giants have won the World Series every other season dating back to 2010 (winning on even years and not making the post-season in odd years). Should the pattern continue, the Giants should win the World Series for the fourth time in eight years this season (since it is an even year). To improve their chances of making it back to the playoffs, the Giants spent some money during the off-season. Short stop Brandon Crawford was re-signed to a six-year deal in November worth $75 million. The team invested heavily in pitching, by committing $220 million to Johnny Cueto (six years, $130 million) and Jeff Samardzija (five years, $90 million). Denard Span was added to the outfield after signing a three-year, $31 million contract. The Giants will have the fifth-highest payroll in the league this season, at $171,464,943. After a season that saw him win his first Gold Glove and Silver Slugger Awards last season, the San Francisco Giants saw fit to sign Brandon Crawford to a six-year, $75 million contract extension.